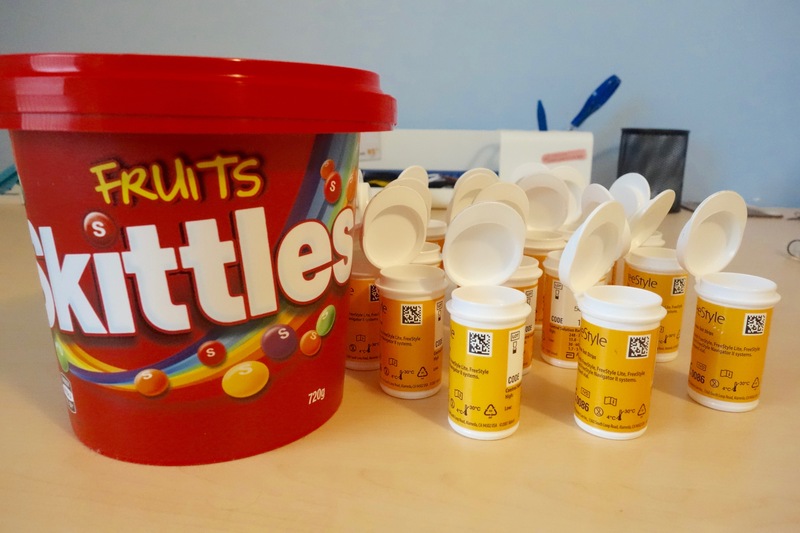 I love treating my hypos with Skittles. They’re small, portable and the carb count is easy to remember. But I hate how expensive they are. Yesterday, I thought outside the box and went for a party bucket instead of a bag. Who says diabetes can’t be done on a budget? I feel I’ve been quiet in the DOC chatter while diligently working on my own blood sugar levels and stalking my glucose meter, so here are a few items that have caught my interest lately. Allison at The Blood Sugar Whisperer is sharing a unique perspective into preparing to conceive a child with diabetes. I’m working diligently towards bringing my A1C down, so I can relate a lot to that aspect of Allison’s writing. Speaking of A1C, being able to look beyond the less than ideal number that I wrote about last week was crucial. This post from Mike at Diabetes Mine really hit home, and it’s great to see that there’s conversations happening in the US around re-evaluating the A1C as the sole assessment of diabetes therapy. I frequent Facebook, Twitter and a lot of diabetes blogs for my dose of DOC. One blogger who is doing it differently is Drew of Drew’s Daily Dose. 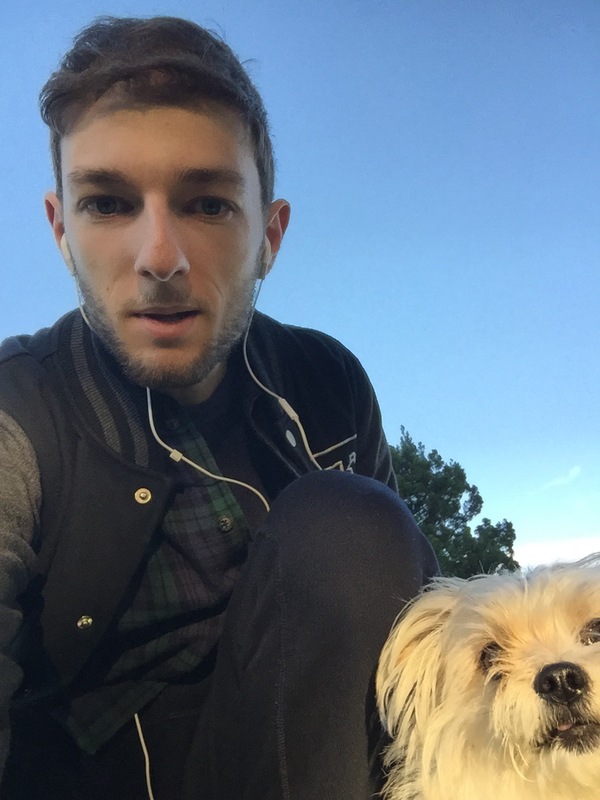 Drew is an exercise physiologist and diabetes educator who lives with type 1. 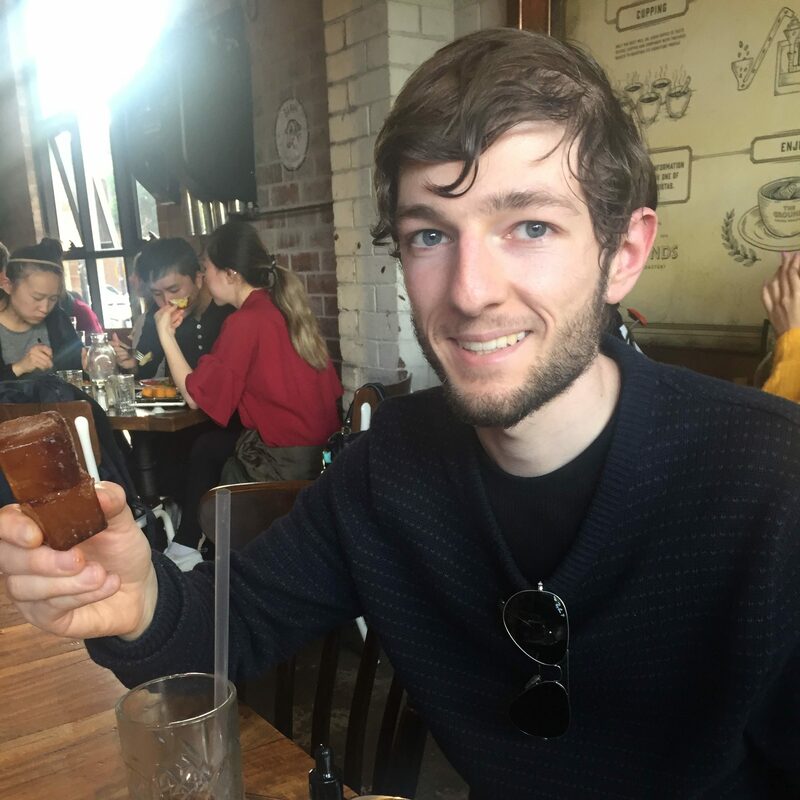 I first met him in Sydney this May, and he primarily runs a popular Instagram account focussed on his passion for exercise, fitness and type 1 diabetes. Check it out here. Steptember. The idea is that you take 10,000 steps a day for 28 days and get people to sponsor you along the way. Although this is a fundraiser for Cerebral Palsy, I still think it’s a great idea for diabetes and getting active. steptember.org.au explains what it’s all about. One of my favourite writers on the other side of the world is Sarah of Coffee and Insulin, and some of her recent posts have been exceptional. Sarah’s writing is just so captivating, and her lust for travel, adventure and life shines through in her writing. Happy 11th Diaversary, Sarah! Back on the home turf, the Australian Diabetes Society and Australian Diabetes Educators Association held their annual scientific meeting last week. Tweets were rolling out from some of the passionate advocates in attendance, and you can catch up by following #adsadea2016 on Twitter. Congratulations to Kelley at Below Seven and Kerri at Six Until Me on the recent arrival of their newborn boys. Maria at My Life: A Long Trip With T1D is also expecting, although I’m not sure her new employer realised straight away! Tuesday night is OzDOC night. Follow @OzDiabetesOC and #OzDOC on Twitter to connect with other people with diabetes. It’s amazing how something as simple as a conversation has given me some much needed clarity in recent weeks. For several weeks, I’ve been giving corrections to stubbornly high glucose levels in the afternoons after I’d finished work. Highs that have made afternoon tea difficult to manage. Highs that have made my dinner time insulin dose less effective and pre-bolusing a complete waste of my time. Highs that have often carried through to bedtime and even resulting in a disappointing waking number. I didn’t think that there could possibly be anything wrong with my afternoon basal rate, because I knew that it was fine on non working days. I thought maybe I was disconnected in the shower for too long. I thought maybe I was eating too much at lunch. I thought maybe it was time to give up the toasted sandwiches slathered with butter, and cheese oozing out of the edges. Maybe buy those addictive donuts from Woolies less often? When I recently sat down with my new diabetes educator and my Diasend logbook, she instantly pointed out a recurring pattern of red readings in the afternoons. I knew that afternoons had been a problem area. 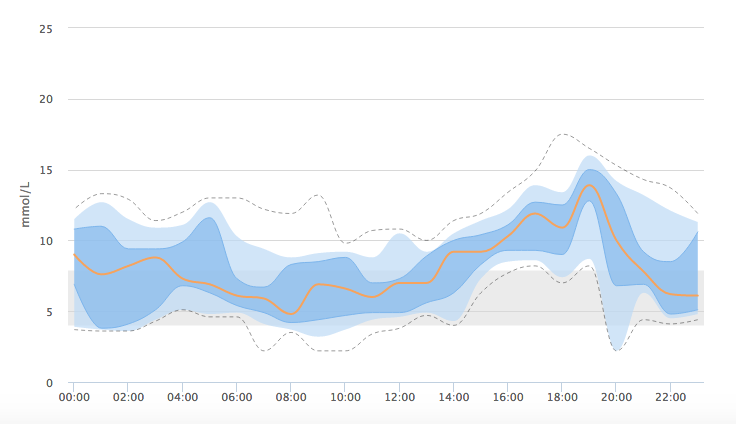 I can see the afternoon ascent in my Ambulatory Glucose Profile. Yet in all these weeks, I had never really stopped and thought twice about it. It took my educator’s small suggestion of increasing my basal rate in the afternoons for me to finally make sense of all of this. Could these afternoon highs possibly be an after-effect of my physical activity at work all day? Could my body be responding with extra glucose as I put my feet up in the afternoons and breathe a sigh of relief that the day is over? A quick google search confirmed that this indeed, could be a possibility. The most incredible thing is the positive flow on effect that this small change has produced in the past two weeks. Since increasing my afternoon basal rate from 2-5pm on work days, I find that my BGLs stay in range through the afternoon. My dinner time insulin dose is far more effective, and I no longer receive frustrating highs after an accurately carb counted dinner. Overnights have also been looking much healthier, which will ultimately account for a large chunk of the hba1c result I am chasing. As my educator reminded me, I can easily be doing this at home as well. I have the tech that is capable of uploading my data to the computer. I have Diasend, the software that compiles all of my data into one easy to read report. Judging by my Diasend report that is now looking a little less red, I really need to be making the time to do this more often. I feel well and truly hungover after a day of dealing with rollercoaster blood sugar levels. It started with the slice of thick cut raisin toast I had for breakfast. Probably not the most sensible choice of breakfast, but I felt like it. My blood sugar was a lovely 6.8. I’ve been working diligently at producing straight lines overnight and into the morning, and I felt ready for a challenge. So I pre bolused my insulin, drank my coffee, dressed, prepared my toast and ate it. My FreeStyle Libre showed a perfect 6.9 and steady when I arrived at work, and I was able to put my fears of the toast spiking me to the back of my mind as I started work. About an hour later I checked again, only to find a 13.1 and an upward trend arrow on my Libre. Nowhere near the 20s territory that raisin toast could potentially send my blood sugars, but still a surprise considering the increased intensity of my physical activity at work yesterday morning. I’ve been producing some spectacularly stable lines through the mornings, so seeing that 13 was rather irritating. I watched that 13 slowly go down to 12.2 and then settle at 11.0. I should have just left it. I still had close to 2 units of active insulin on board. I was working intensely and I knew the insulin would be extremely sensitive. But the frustration of that 11 got the better of me, and I gave a correction bolus of half a unit, as suggested by my pump. No more than ten minutes later, before the insulin bolus would have even had time to kick in, my levels were already showing signs of descending. I felt so frustrated. I knew that I should have just left all and good. 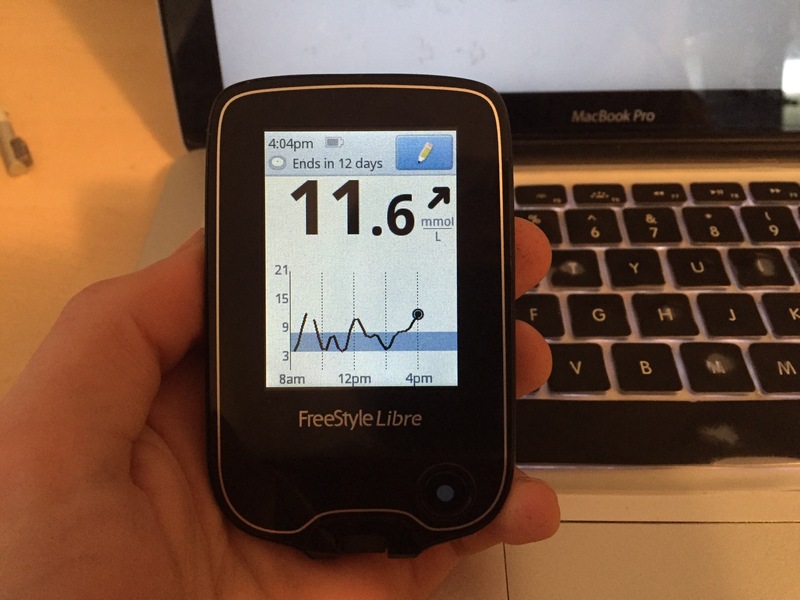 As I watched the downward trend arrows on my Libre, I decided to have my morning tea of coffee and a small banana. As I watched my levels enter hypo territory, I added another 15 skittles into the mix and went back out to work. I refused to check my levels for another hour to avoid any more impulsive actions, until I saw that I had rebounded to 13.3 with an upward trend arrow. I had very little insulin left on board from breakfast, so I entered my reading into my pump and gave half of the suggested correction dose. I thought I had been extremely cautious, yet within half an hour I was plummeting once again. Not wanting to over-treat this one, I cautiously ate 12 skittles. I ended up needing another 8. My levels bounced back into range, before eventually falling back to hypo territory again by lunchtime. I felt doubly exhausted from a morning of intense work, combined with rollercoaster glucose levels. By this point it was lunchtime, and all I really craved was sugar. A jam donut and a chunky Kit Kat joined my toasted sandwich for lunch. It was a crazy, crazy ridiculous carb count, but I knew that I would be able to get away with not spiking too high while I was working. If I had just accepted that raisin toast will naturally send me higher than oats, I might not have had the rollercoaster day that I’ve just had. Although surprisingly, my glucose levels didn’t go any higher than 14.3mmol all day. Silver linings, right? 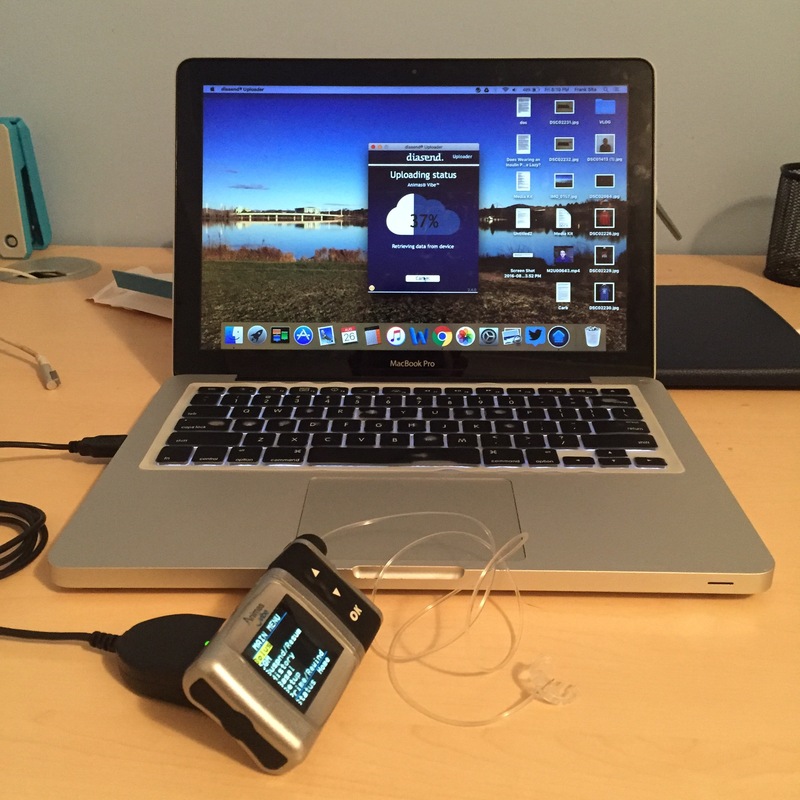 Does An Insulin Pump Make Me Lazy? In a recent blog post, I expressed that my insulin pump has offered a greater level of convenience in giving my insulin doses. I lamented that I was often slack with carbohydrate counting, weighing my portions and delivering insulin in a timely manner when I was on injections. This led to a few comments from social media trolls that accused me of getting an insulin pump because I was lazy. Of course, I could absolutely count carbohydrates, weigh portion sizes and pre-bolus insulin on injections. But there were a number of other factors that lead to my ultimate decision, which I wrote about here. I felt failed so often despite my best efforts, that I simply lacked the motivation to do those things that I should have. So in hindsight, maybe ‘lazy’ was the wrong word to use. I only used it in the context of trying to be honest. However, an insulin pump is definitely not a lazy decision. Attending an insulin pump information evening was not lazy. Doing my research was not lazy. Making an appointment to discuss pumping with my diabetes educator was not lazy. Going home and giving myself three months to think about the pros and cons of pumping was not lazy, despite how tempted I was to say yes. Being active and seeking out options that may improve my health is not lazy. Wanting to better manage my diabetes is absolutely not lazy. The very first thing that Gwen drummed into my head is that an insulin pump is not any easier than injections. In hindsight, I would argue that it is much more work compared to injections. There’s a good reason why clinics like to make sure that their patients are deadly serious about it and prepared to make a commitment. Wearing an insulin pump is a big responsibility. Just read every post I’ve written here in the past three months. I am very conscious that I’ve been writing a lot about insulin pumping here of late, but that’s simply because my insulin pump is a big part of my diabetes at the moment. I certainly don’t have an agenda to ‘push’ insulin pumps onto anyone. I don’t believe that one is any better than the other. I simply believe that different methods of insulin delivery may suit some better than others. There’s a big difference between giving advice, and sharing my experience in the hope that it might inspire you. Insulin pumps and diabetes tech are often the hot topics among bloggers and diabetes websites, and it sometimes does leave injections looking under-represented. But then again, don’t we all feel we are in the minority in some context or another? I feel in the minority because I can’t play sport to save my life. I feel like I’m in the minority because I don’t work in an office. At work this morning, I’ll be in the minority because I’m the only person who watched Australian Survivor last night. And in the DOC, I feel in the minority because I don’t use a CGM. Truth be told, I couldn’t care less about being in the minority! I’m happy to go for a walk instead of a run. I’m happy that I’m employed, earning money and have goals that I’m working towards. I love Survivor. And I’m happy to prick my finger 15 times a day, because that’s what works for me. It comes back to the point I made last week in this post about inclusiveness. If there’s a topic that speaks to you, then please do add your voice to the conversation. And if I’m reading it, I promise I’ll treat it with absolute respect. Finally, an insulin pump does offer me the convenience of dosing insulin under the table, or when I’m on the go. Dealing with diabetes every day for the rest of my life is already hard enough, and I refuse to feel guilty for it.